Adding cuteness to convenience is a profitable combination. Typically a gimmick for children’s products, the boom in creative design in the last decade or so has lead to more impulse buy-style objects (what we like to call the ‘I want one’ factor.) This utensil dryer is certainly no exception. 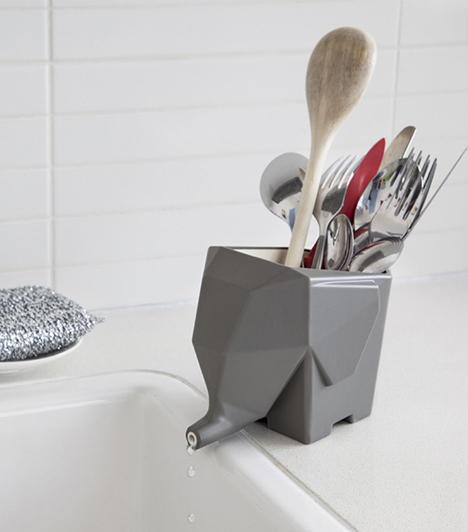 ‘Jumbo’ is a cutlery drying caddy designed by home decor firm Peleg Design. 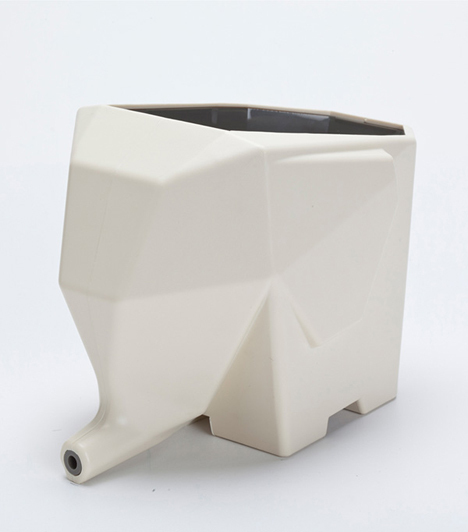 While its cute elephant shape catches the eye, it doesn’t lack functionality. Typically, when a dish washer is not available, hand drying is the method of choice. Often the utensils are laid on a towel to dry, taking up counter space. That’s where Jumbo comes in handy. The interior shape of Jumbo is a downward slant, a clever use of gravity that leads any unwanted moisture out of the elephant’s trunk. 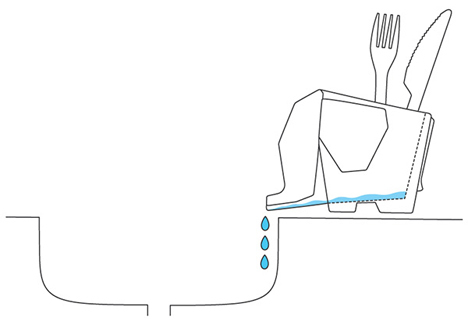 When placed close to a sink, it acts as a convenient drain system for drying your cutlery. And by not using a dishwasher, it becomes your eco-friendly dish washing buddy.